We install, repair and service all types of commercial heating and cooling systems in the Lake Norman and Charlotte areas. Our training and experience on all makes and models enable us to efficiently diagnose and address heating and cooling issues quickly. We have managed mechanical contracts for every conceivable commercial HVAC application; installing mechanical systems in high-rise apartment buildings in Charlotte, Mooresville hotels, local hospitals, and numerous commercial buildings in our service areas. We have the experienced professionals necessary to install, maintain and/or service commercial HVAC systems. Many commercial property owners know they must provide efficient and effective climate control for their tenants. Our priority is to maximize the HVAC unit’s efficiency and keep costs down for the property owner. We understand that every building is unique and we address each commercial contract as such, whether it’s a hospital or a historical landmark, there is no “one size fits all” with commercial HVAC! 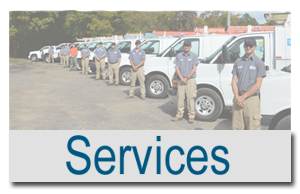 We provide flexible maintenance contracts and fully customized commercial HVAC solutions; we can satisfy any request for service. If you are considering an upgrade to an existing HVAC system; installing a new, energy efficient system; or signing up for a custom maintenance contract, Air Dynamics MS, LLC is the one to call!